Melodyne essential is the smallest and most affordable member of our one-track product family. Melodyne essential offers you only Melodyne's main tool, which makes the basic editing of pitch and timing possible. The high sound quality and user-friendly handling, though, are the same as those of the multi-award-winning full-sized edition, Melodyne editor. Melodyne essential makes rapid entry into the world of Melodyne possible. 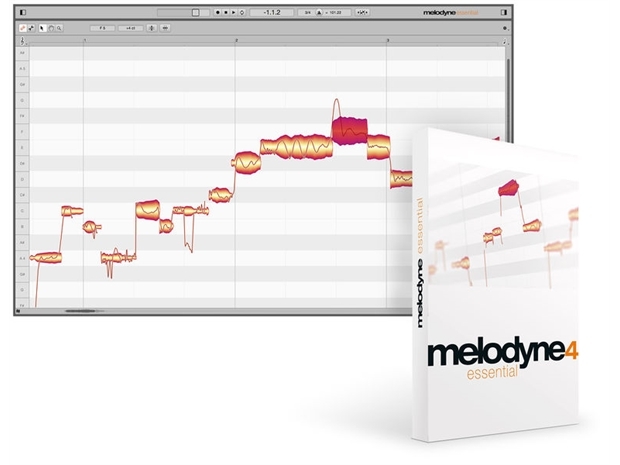 Off-key vocals and out-of-tune melodic instruments can be corrected using Melodyne essential with the same ease as timing errors in melodic and rhythmic material. Melodyne essential offers a great deal of Melodyne functionality for very little money. And if you want more, an upgrade to the top-of-the-line Melodyne editor is always possible for the difference in price between the two editions – without a new download, and without a fresh install.